To Sell More – Empathize More! Salespeople who understand the buyer more, sell more. That is clear to see from our benchmarking data, as well as our direct experience. But an intellectual understanding of the buying decision is no longer enough. 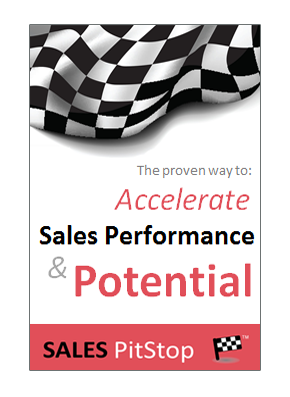 Salespeople who translate buyer understanding into buyer empathy enjoy the greatest sales success. Buyers – ‘to know ’em is to love ’em’, or more to the point; ‘to know them is to sell to them’. That is to say a better understanding of how buying decisions are made, as well as of those who make them can significantly boost closing success. However, simply knowing the buyer is not enough. The challenge for sellers is not just to know more about the buyer’s; role, background, or their place in the organizational hierarchy. To be really effective seller must go one step further. An intellectual understanding of the buying decision is not enough. To fully appreciate the buyer’s motivations, challenges and concerns requires that the seller steps into the buyer’s shoes. In modern selling it is not just how much you know, but how much you care that matters. Sellers don’t just need to develop their level of buyer understanding, but their level of buyer empathy too. Only then can the seller appreciate the full complexity of modern buying and by extension the real opportunities and challenges they face in getting the sale. Now, you may be thinking ‘we have gone soft’. You may be thinking that buyer empathy is ‘pie in the sky’ – a kind of sales Pollyanna. Rest assured however – we haven’t ‘gone soft’. Buyer empathy is something that can have a real impact on sales success. In short empathy sells! As a seller developing empathy with the buyer can be a challenge. The rise of the competitive tender (and more bureaucratize buying in general) has driven a wedge between buyers and sellers. It effectively means that both sides are increasingly involved in a ‘them’ and ‘us’ stand-off. The fact that more buying decisions are being made behind closed doors, means that salespeople are more likely to be perplexed, even frustrated by the behaviour of the professional buyer. 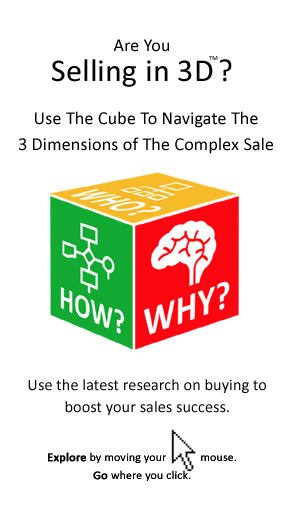 Viewing procurement as an impediment to the sale, salespeople often struggle to understand what motivates buyers, particularly the bureaucratic ones. However, those salespeople who develop their level of understanding and indeed empathy with the modern are certain to enjoy greater success. Being able to understand and identify with the buyer – what he or she is thinking and feeling is a form of emotional intelligence that is essential to the salesperson doing his or her job effectively. Of course, some salespeople are naturally better at empathizing with buyers (and people generally for that matter). Yet empathy is something that, as salespeople, we all can and should develop. Blur The Line Between Buyer & Seller. If you would like to explore these steps and to test your level of buyer empathy download the full whitepaper here.